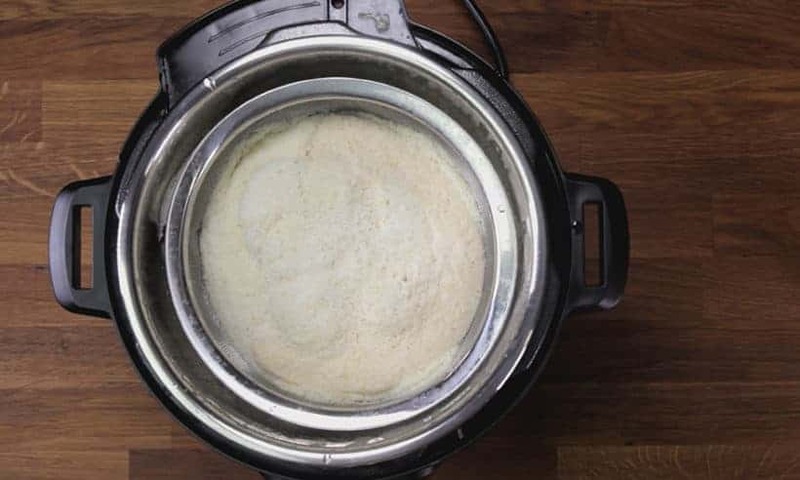 Make Fresh Melt-in-the-Mouth Instant Pot Tofu Pudding Recipe (Pressure Cooker Dou Hua 免石膏粉豆腐花). Silky smooth Soybean Pudding drizzled with sweet ginger syrup. Simple yet ultimately satisfying dessert to end your day! We can’t begin to describe how much fun it’s been in the kitchen, as Jacky & I pour our hearts & souls into recreating beloved Hong Kong classics using our Instant Pot & Pressure Cookers. And Tofu Pudding 豆腐花 is definitely one we’ve been excited to share with you!! Tofu Pudding aka Doufuhua, Douhua, or Soybean Pudding is a super popular Ancient Chinese snack/dessert. According to historical records, its existence traces back to before 122 BC! 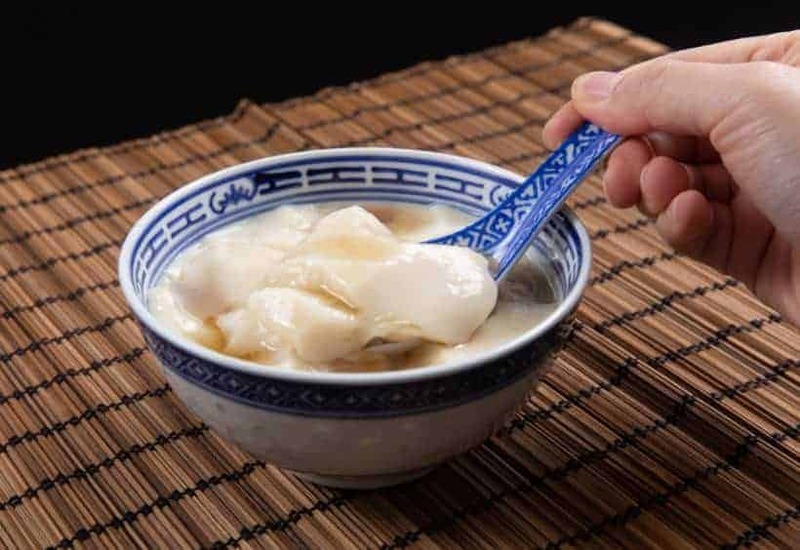 Besides being a sweet dessert, traditional Dou Hua 豆花 is also enjoyed as a savory or spicy snack in different regions of China & Asia. Nowadays, Chinese Desert Shops have created endless delicious combinations of how we can enjoy this simple melt-in-the-mouth delicacy. For over 2 months, we’ve experimented using different thickening agents; different brands of Agar Agar Powder; different Agar Agar Powder: Soy Milk Ratios; adding Agar Agar Powder at different steps of the process to find the perfect flavor & texture. Not too solid (jello-like), nor too liquidy; not too watery and bland. Traditionally, Gypsum Powder 石膏粉 is the most commonly used thickening agent for making Tofu Pudding. As the field of culinary progress, more chefs begin to explore using other thickening agents such as Gelatin or Agar Agar Powder. Since different thickening agents have different gelling abilities, the final Tofu Pudding will vary in textures & mouthfeel. We fell in love with using Agar Agar Powder to make Tofu Pudding. When the right amount is used, it creates this unbeatable melt-in-the-mouth satisfying mouthfeel. Even more silky smooth than the traditional Tofu Pudding you’d eat at Traditional Chinese Dessert Shops!! 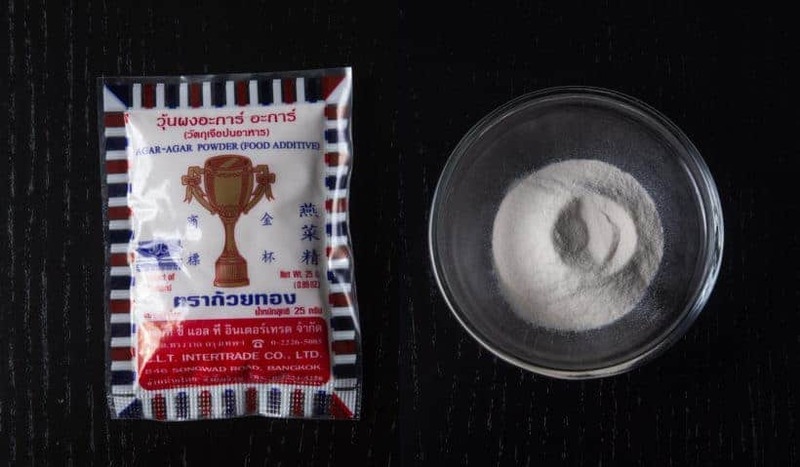 Agar Agar Powder is also easier to find in supermarkets. You should be able to find them in Asian markets or the Asian aisle. Agar is a natural substance obtained from algae. It has powerful thickening and gelling abilities, with no calories, no sugar, no carbs, and no fat. 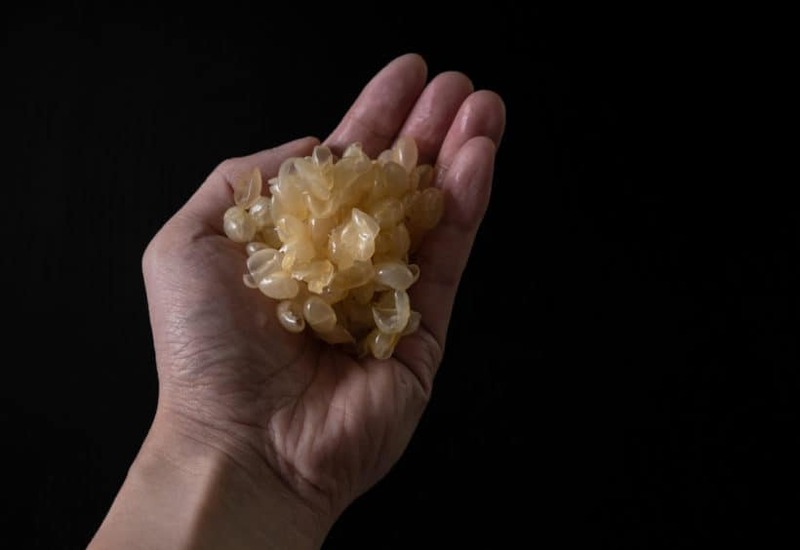 Many chefs are adopting the usage of Agar Agar Powder (aka 大菜粉，洋菜粉，寒天粉，燕菜精) as a plant-based alternative to gelatin. Since it has no flavor, odor or color, it’s perfect for making desserts that need to set. One of the reasons we chose Agar Agar Powder over Gelatin is its ability to stay firm at higher temperatures compared to Gelatin. Place 1 cup (190g) dry soybeans in a 1L container. Pour 3 cups (750ml) cold water in the large container and give it a few stirs. 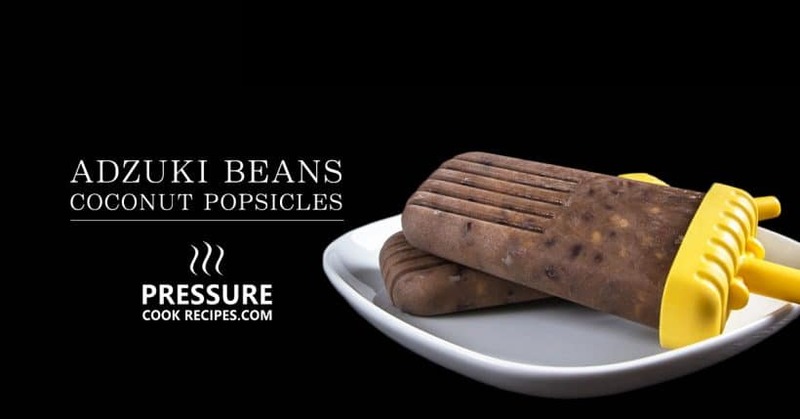 Place 1 cup (190g) dry soybeans and 3 cups (750ml) cold water in the pressure cooker. Close lid and pressure cook at High Pressure for 0 minute + 30 minutes Natural Release. Discard soaking water and rinse soybeans under cold water. If desired, remove the soybeans’ skin by gently rubbing the beans together. 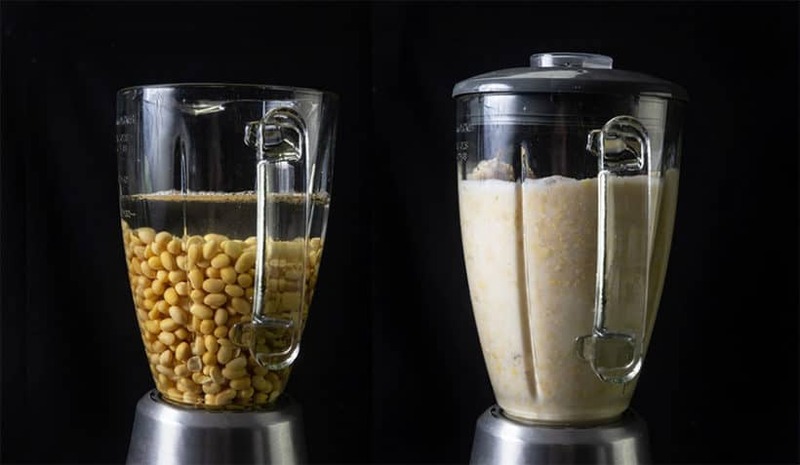 Blend soybeans in a blender with 2 cups (500ml) of cold water until smooth (as shown in right blender below). Add a pinch of salt and 4 cups (1L) cold water in pressure cooker. Add in blended soybean mixture. While soy milk is pressure cooking, place 200g rock sugar, 1 cup (250ml) water, 3 tbsp (38g) brown sugar, and 3 tbsp (50g) crushed ginger in a saucepan. Bring mixture to a simmer over Medium High heat. Stir occasionally to melt the sugar properly. Reduce heat to Medium and simmer for another 2 minutes. Discard crushed ginger and simmer mixture for another 5 – 10 minutes. *Pro Tip: The sauce should thicken and can lightly coat a spoon. Turn off heat and cool Ginger Syrup to room temperature. Place Ginger Syrup in fridge to chill if desired. Remove the steamer basket of okara. 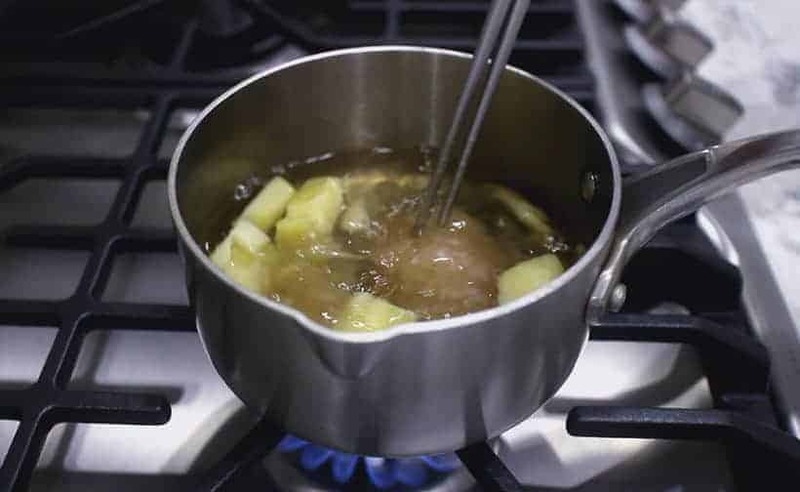 Add 1 tsp (3.2) agar-agar powder to a separate large saucepan. *Critical Pro Tip: Don’t use too much agar agar powder as it may result in a jello texture. Since different brands of agar agar powder may have different gelling power, use the listed amount in this recipe and adjust accordingly. Strain the hot Soy Milk with cheesecloth or fine mesh strainers into the saucepan with agar-agar powder. Stir & bring the Tofu Pudding mixture to a simmer to ensure all the agar-agar powder completely dissolves. If desired, sweeten the Tofu Pudding mixture by adding 2 – 3 tbsp (25g – 38g) granulated sugar. Turn off heat once the mixture starts simmering. The Tofu Pudding will set once cooled to room temperature. Place Tofu Pudding in the fridge to chill if desired. *Pro Tip: If the Tofu Pudding mixture is unable to set, heat Tofu Pudding to a simmer and add in more agar agar powder (this works even after being chilled in the fridge). *Note: Tofu Pudding made with agar agar powder can be served only at room temperature or cold. *Cleaning Tip: Best to wash the steamer basket and strainers as soon as possible because the okara will rinse right off when they are still moist. Super easy way to make Fresh Melt-in-the-Mouth Instant Pot Tofu Pudding Recipe (Pressure Cooker Dou Hua 免石膏粉豆腐花). 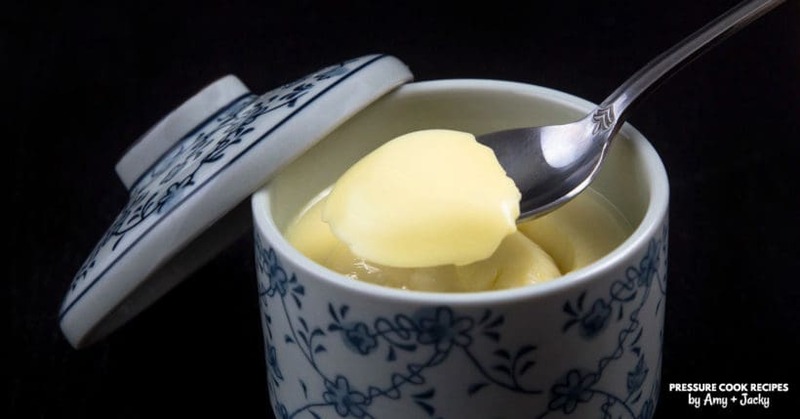 Silky smooth soybean pudding drizzled with sweet ginger syrup. Simple yet ultimately satisfying dessert to end the day. Method 1 - Overnight Soaking Method: Place 1 cup (190g) dry soybeans in a 1L container. Pour 3 cups (750ml) cold water in the large container and give it a few stirs. Allow beans to soak overnight for at least 8 - 16 hours. If your house is very warm, place the large container in the fridge to avoid fermentation. 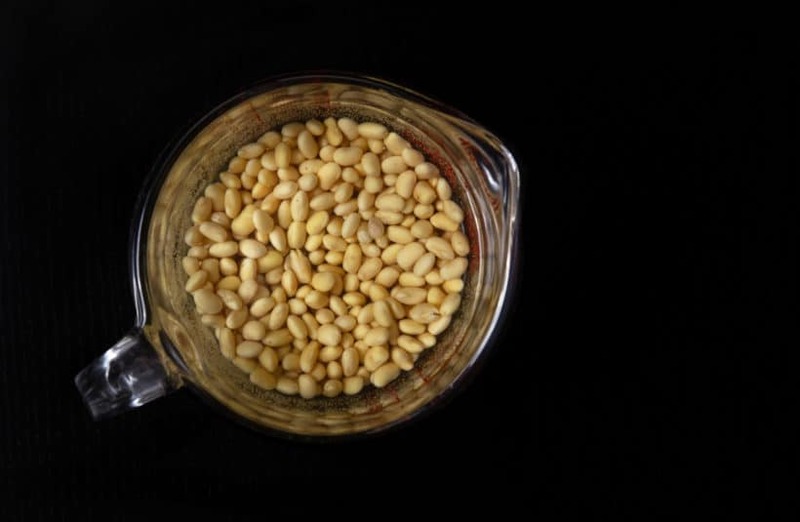 Method 2 - Quick Soaking Method: Place 1 cup (190g) dried soybeans and 3 cups (750ml) cold water in pressure cooker. Close lid and pressure cook at High Pressure for 0 minute + 30 minutes Natural Release. 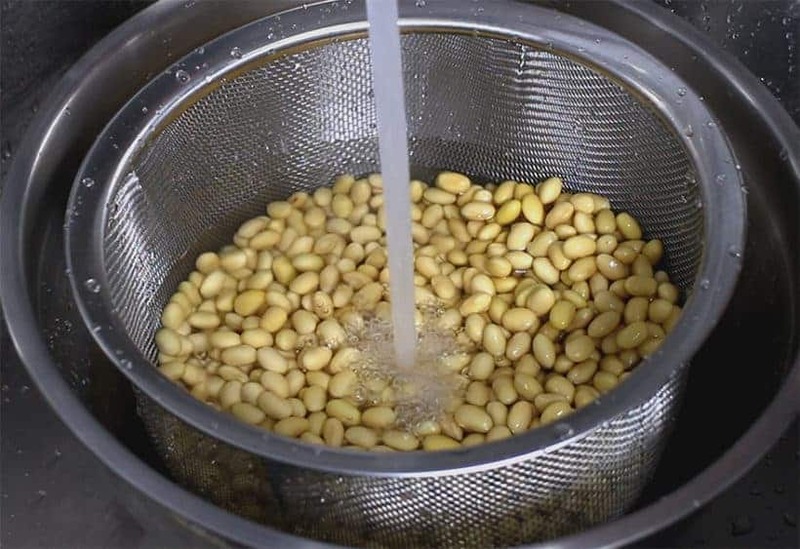 Blend Soybeans: Discard soaking water and rinse soybeans under cold water. If desired, remove the soybeans’ skin by gently rubbing the beans together. Blend soybeans in a blender with 2 cups (500ml) of cold water until smooth. 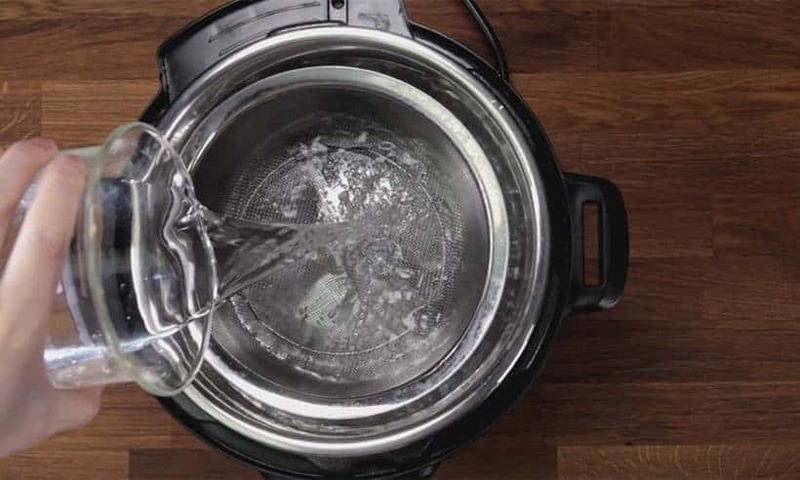 Pressure Cook Soybeans: Place steamer basket in Instant Pot. Add a pinch of salt and 4 cups (1L) cold water in pressure cooker. Add in blended soybean mixture. Close lid and pressure cook at High Pressure for 5 minutes + 25 minutes Natural Release (after 25 minutes, turn Venting Knob to Venting Position to release remaining pressure). Open the lid carefully. Prepare Ginger Syrup: While soy milk is pressure cooking, place 200g rock sugar, 1 cup (250ml) water, 3 tbsp (38g) brown sugar, and 3 tbsp (50g) crushed ginger in a saucepan. Bring mixture to a simmer over Medium High heat. Stir occasionally to melt the sugar properly. Reduce heat to Medium and simmer for another 2 minutes. Discard crushed ginger and simmer mixture for another 5 - 10 minutes. The sauce should thicken and can lightly coat a spoon. Turn off heat and cool Ginger Syrup to room temperature. Place Ginger Syrup in fridge to chill if desired. Strain Soy Milk: Remove the steamer basket of okara. Add 1 tsp (3.2) agar-agar powder to a separate large saucepan. 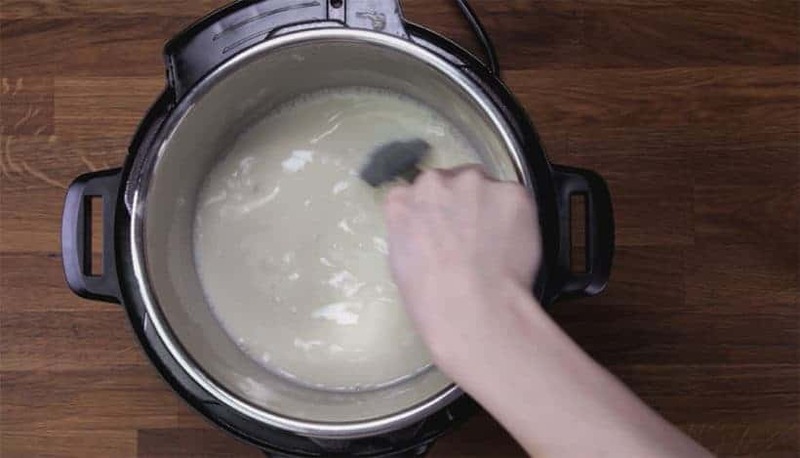 Strain the hot Soy Milk with cheesecloth or fine mesh strainers into the saucepan with agar-agar powder. 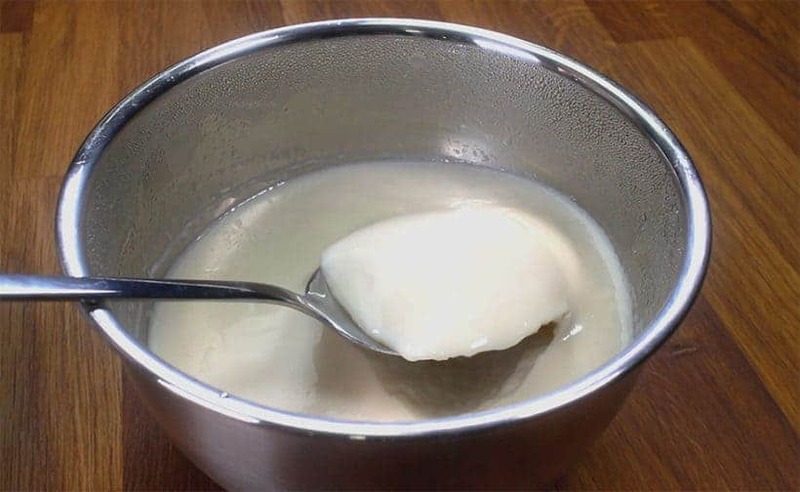 Make Tofu Pudding: Stir & bring the Tofu Pudding mixture to a simmer to ensure all the agar-agar powder completely dissolves. If desired, sweeten the Tofu Pudding mixture by adding 2 - 3 tbsp (25g - 38g) granulated sugar. Turn off heat once the mixture starts simmering. The Tofu Pudding will set once cooled to room temperature. Place Tofu Pudding in the fridge to chill if desired. Serve: Tofu Pudding with agar agar powder can only be served at room temperature or cold. Enjoy the silky smooth Tofu Pudding with a few tablespoons of Ginger Syrup! I love your recipes, for its simplicity. I tried making the tofu fa over the weekend but it didn’t set. I did reheat it again and added more agar agar but still it’s clumpy. I repeated the reheating process 3 times, not successful. A) do I have to constantly stir the tofu over medium heat? B) once I turned off the stovetop (brought to simmer), do I leave it at the heated stovetop? C) I transferred the tofu fa to a plastic container while it still hot? Would that impact the setting process? D) I kept testing the tofu to make sure it sets properly, interrupting the process – should I not have touch it? E) I moved it to the fridge before it completely cooled. Not sure if that would impact the process. A) You will want to stir the soy milk to make sure all the agar agar powder is melted and mixed thoroughly. D) How did you test it? Gentle shaking it will be fine. E) No impact on this. Please try melting the agar agar powder in some water and see if it sets properly. I stumbled onto your website when I searched for making tofu in an Instant Pot. I am looking to make plain soy milk and silken tofu and not necessarily Dou Hua and I have several questions. When I make soy milk the “usual” way on the stovetop and begin to boil the ground soy beans, the mixture begins to foam like crazy. How do you avoid this with the pressure cooker so it doesn’t explode into a gory mess? Does the strainer have something to do with this? Also, since inheriting a Vitamix blender, my soybean “okara” mixture is ground very fine and I’m worried that it will fall through the strainer. Can I line the strainer with muslin to prevent the okara from falling through the strainer? Finally, one of the final steps in making soy milk the “usual” way is to boil the strained soy milk for a few minutes to make sure the soy protein is digestable. I assume that pressure cooking the ground soy beans under high pressure for 5 minutes takes care of that and there is no further need to cook the soy milk further? Thank you for your instant pot Dou Hua recipe! 1) The strainer helps with the foaming like crazy. 2) Some okara falling thru the strainer will be fine. 3) it should be fine without the boiling step as well. So I used gypsum powder coz I wanted my tofu to be warm. Mine did not set. I think because I stirred even once I already mixed the gypsum. I also read from another blog about Japanese tofu that the curds and whey forms if the temperature is too hot. They actually recommended to put the tofu in small containers and do a batch steaming. Any tips to make mine set next time? What function in insta pot to use for sinmer?mine doesnt have one. Hi, how would I adapt this if I have the agar agar strips? I believe the strips and powder will work the same. Please try to weight out 3.2g and see if it works. Thanks for the tau fu fa recipe. We love tau fu fa at yam char. Now can make and enjoy it at home! By the way, do you have an instant pot recipe for making tofu? 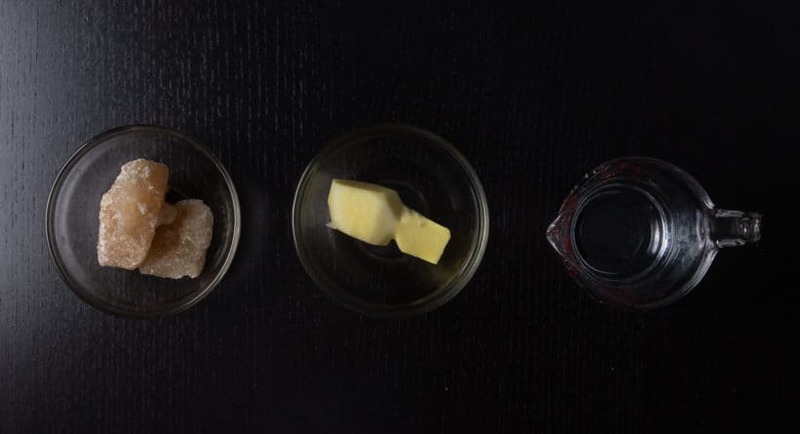 We don’t have a recipe for making tofu from scratch yet, but the process is quite similar! Tofu will require gypsum powder as you will probably want to serve it hot. If I wanted to make the tofu pudding hot you mentioned using gypsum powder instead of agar agar. Would the measurement still be 1 teaspoon if I used gypsum powder? We haven’t extensively tested the amount of gypsum powder require for the best Tofu fa. From memory, it will take roughly 1 tsp per 4 cups (1L) soy milk. I am wondering how to do this whithout a steamer basket. Can I do pot in pot method? Where you put the water in the outer pot and then the soy mixture in the inside pot on a trivet? Also how do you store? Separate from the ginger/sugar syrup? You can cook the soy mixture directly in the pot, but it will be harder to clean the inner pot. Make sure to add the water first then gently layer the blended soybean mixture on top. You will want to store them separately. It will be 6 cups of soymilk per 1 teaspoon (3.2g) agar-agar powder. I’d like to try this recipe but I don’t have agar2 on hand, can I use gelatin powder instead? And if so, how much? Gelatin powder will work fine, but it will have to be served cold. We haven’t tested the proper amount for gelatin powder so I would recommend using the same amount as agar agar powder as a start. You can always heat it up and add more gelatin powder if it is not as firm as it should be. Is there a reason why this recipe has to be served room temperature or cold, and not steamed hot like traditional Chinese tofu pudding? 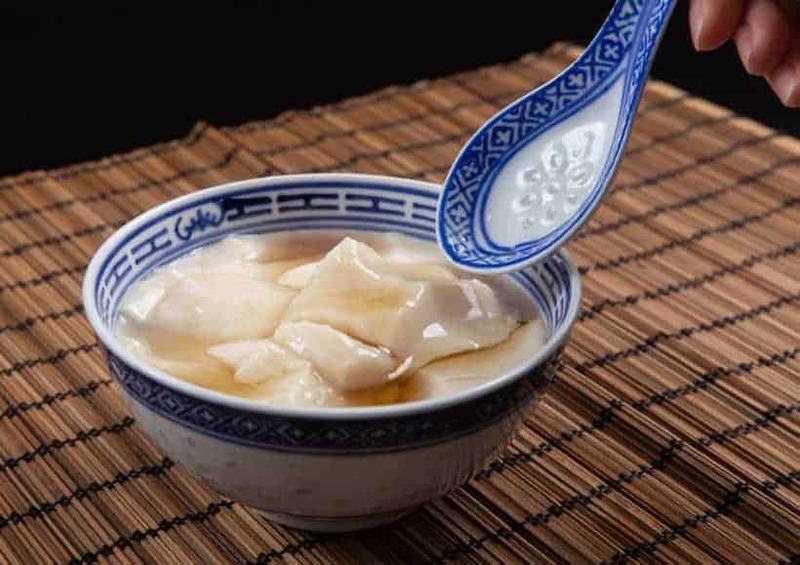 Chinese tofu pudding are served hot or cold traditionally. The agar agar powder in this recipe will melt at high temperature. Hi! 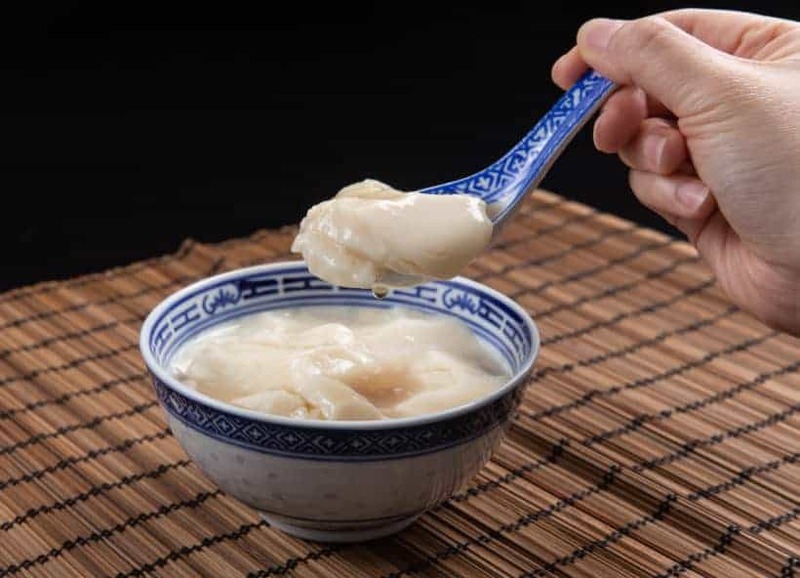 My experience with dou hua is in dim sum restaurants where I have always had both the pudding and the syrup served warm or hot spooned out of a big vessel off a rolling steam cart. I usually order it as dou fou fa (I am not Asian so I have no idea what I am talking about except that I love this stuff!). Is there a way to be able to have it set up and served hot? Thanks! Dou fu fa is served both hot and cold. 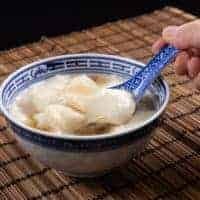 For hot Dou fu fa, you will have to use gypsum powder as agar agar powder will start melting at roughly 115F. Just wondering if I were to use store bought soymilk, how much would I use for 1 tsp of agar agar powder? Thanks for your help! The amount will be the same as the recipe (~1.4L). Hi. Finally, the tofu pudding I’ve been waiting for. Can I just use unsweetened soya milk instead of soy beans? Water should be in the steamer basket for this recipe as the steamer basket is there to prevent the soy mixture from touching the bottom of the pot. I grew up in Taiwan, and one of my favorite deserts from the farmers’ market was 豆花. 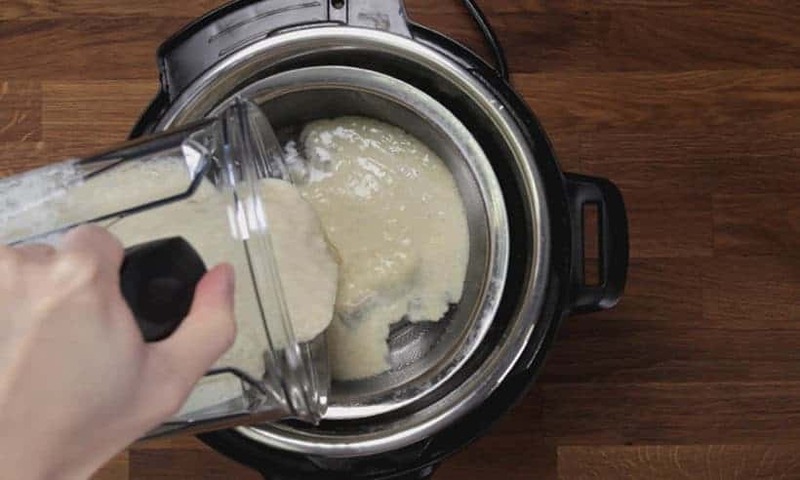 It’s exciting to see your innovative way of making this in Instant Pot! I’m terrible at cooking (and I’m not being modest about it! ), so please don’t laugh too hard of my question doesn’t sound intelligent (this applies to all my future questions)! I was curious about the steamer basket used in this recipe and the one for soy milk (豆漿). I didn’t know what you meant until I clicked on the link on the page, which took me to Amazon. I noticed the one on Amazon had a strap/handle, but I didn’t see the strap in the pictures on this recipe page. Am I missing something? The two handles can be removed by wriggling up and down with a plier. I believe they have release some steamer baskets without the two handles now. I will have to order a few to test the quality before I can recommend them. Thank you for this recipe! My husband and I have been craving Tofu Pudding lately. Would it be possible to make this with store-bought sweet soy milk (the Asian brands, not the Western brands) or is that not recommended? Store-bought sweet soy milk will work just fine! Hi Amy. And Jacky! What can I use if I don’t have a blender? I have a magic bullet but it’ll be too small. Thanks ! Magic bullet will work in smaller batches. If you have an immersion blender, it will work as well.